When not teaching history in the College of Letters, Arts and Social Sciences, Dale Graden can often be found traveling around the world and teaching history at its source. 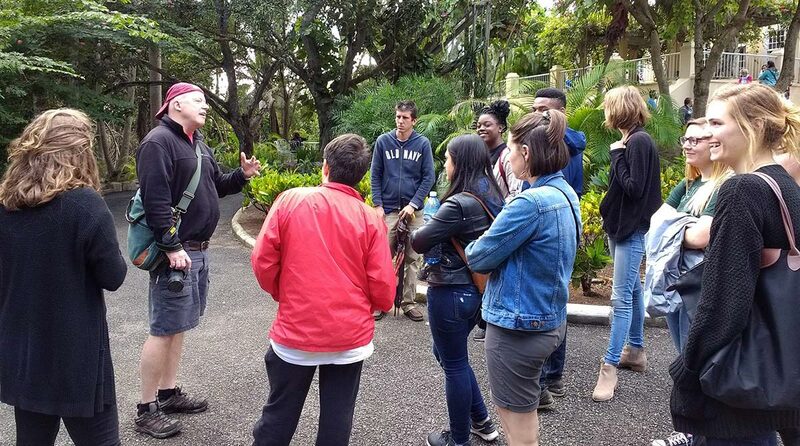 In early 2018, Graden’s passion for history and culture took him to Havana, Cuba, where he taught a course on Ernest Hemingway and his experiences in the country. “There really is no substitute for reading an author’s work in the same places that they lived and being able to have the same experiences,” said Graden, who also has taught courses in Spain and Venezuela on civil war, revolution and its aftermath. Graden’s visit gave him a unique opportunity to experience history and see its ripples. The course was made up of Graden and a student from California State University at Chico, who spent three weeks in Havana in January 2018. Although the United States has had an embargo in place against Cuban imports since 1962, tensions were eased in 2011 with students and religious missionaries gaining the opportunity to visit. In addition to studying the novels, the class visited many points of interest, like Hemingway’s residence at Finca Vigía, which is preserved to recreate exactly what it looked like when he left in 1960. Graden was also able to delve into Hemingway’s complicated web of relationships and connections in Cuba. “It was an eye-opening experience to compare Hemingway the famed writer with the perceptions of him in Cuba,” he said. Graden makes a few comments to the crowd at Finca Vigía, Hemingway’s house. 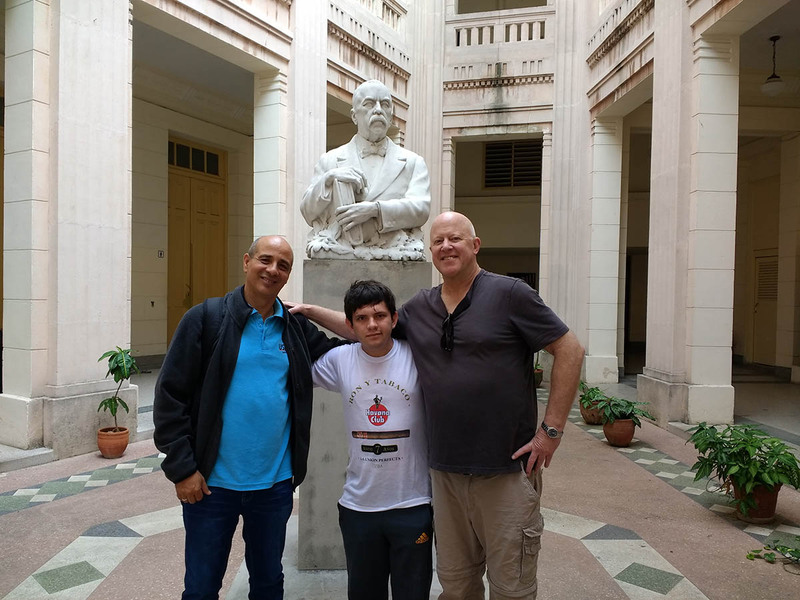 Dale Graden poses with student Mark Burroughs and Professor José A. Matos outside the University of Havana. The trip to Cuba was made possible through a partnership with the University Studies Abroad Consortium. The program has brought the world to students from more than 800 universities worldwide, and the University of Idaho serves on its board of directors. Throughout the course, Graden emphasized education through experience. The class made efforts to reach a wide range of locals, from infectiously happy cab drivers to the older generation who had experienced the Cuban Revolution firsthand 60 years ago. Beyond the class itself, the biggest benefits came from becoming embedded in a new culture with all its highs and lows.